Victoria’s Supreme Court has ordered an injunction to prevent state logging agency VicForests from cutting down a spectacular area of old growth forest in eastern Victoria that has never been logged. Environmental Justice Australia, acting on behalf of the Fauna & Flora Research Collective, requested the interlocutory injunction to prevent the logging operation from beginning. VicForests wanted to start logging in an area of the Kuark forest in East Gippsland this week, but the injunction prohibits logging until the end of the case, unless the order is removed by the Court. Environmental Justice Australia’s writ named VicForests and the Department of Environment, Land, Water & Planning as defendants to the proceedings. 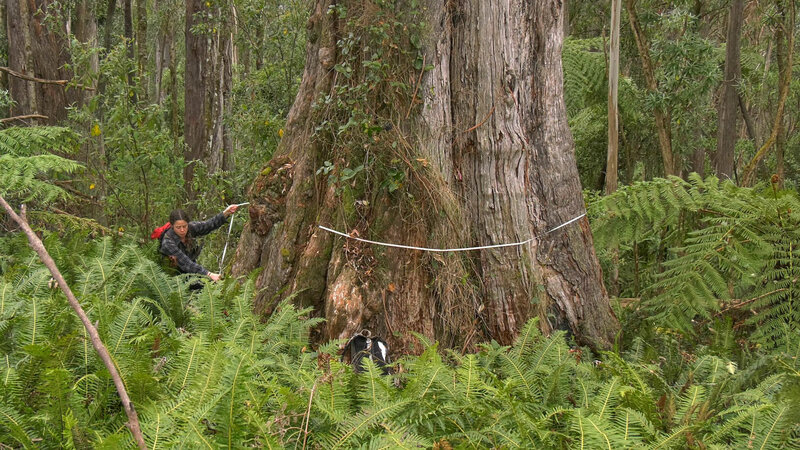 The case alleges that the Environment Department has not protected the minimum area of old growth forest required by law in East Gippsland, and that until it does, logging in this area of old growth forest at Kuark is unlawful. VicForests did not oppose the court ordering the injunction. The Environment Department’s position in Court was that it has no obligations to protect old growth forest, as alleged in the Writ. “This area contains large tracts of intact old growth forest that have never been logged before,” said EJA lawyer Danya Jacobs. “Most Victorians would be shocked to hear that the Environment Department is of the view that it does not have legal obligations to protect the State’s old growth forests. “Our client believes the Victorian government’s Environment Department has not protected the minimum area of old growth forest required by law in East Gippsland, and for some forest types the amount of old growth protected could be as low as 17% when it should be at least 60%. This case will test the point,” she said. The Court made orders for filing further documents and will list the case for a procedural hearing in December.